February is National Time Management Month. I could give you a list of apps to help you manage your time and organize your projects and activities and that may work for some people. If we are honest, what we may need to look at is what are we doing with our time? Are we using it wisely? We all need to take breaks, but what are we doing on those breaks? When you aren’t studying or working, what do you turn to? Where does your mind go? When your daily work takes place on the computer it is easy to go to social media- Facebook, Pinterest, Instagram, Podcast, Blog, etc. It is not a horrible thing, but it can easily turn 2 minutes into 20 minutes, or even 2 hours! So, if social media is not your time waster, what else is there? What about television, surfing the internet, or staring out the window? 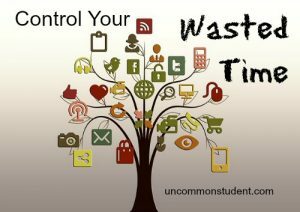 May I suggest that we can retrain ourselves to control our wasted time? Try reaching for challenging activities when you have a free moment to spare. Start by searching for things that will challenge you and grow you in new ways. Play a mentally stimulating game like chess or checkers. Lastly, sometimes just sitting and being quiet is good. Take the time to breathe and be still. Get away from distractions. Sit on your porch or go for a walk and give yourself a chance to dream. We live in a world that is always on the go. Sometimes when we calm ourselves we can find the inspiration that we need to spur us to onto the next great thing in our lives.